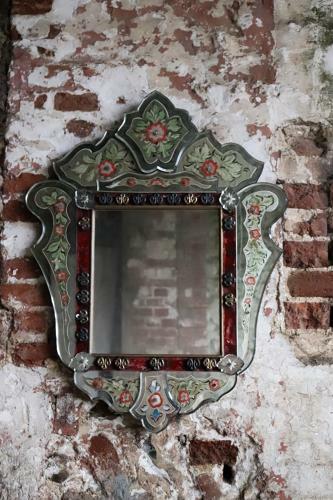 Beautiful 1950s Venetian mirror. Very unusual colours. Unfortunately there is a crack on the top panel which can be clearly seen in the pictures - I didn't see this when I bought it.